The 9th Annual Chinese Film Media Award took place two nights ago in Dongguan. Finally Ann Hui On Wa with THE WAY WE ARE (TIN SHUI WAI DIK YUT YU YEH) became the big winner with Best Director, Best Picture and Media Salute Film Professional; Chan Lai-Wun won Best Supporting Actress. Hong Kong Film Award Best Actress Paw Hee Jing lost to THE EQUATION OF LOVE AND DEATH's Zhou Xun. 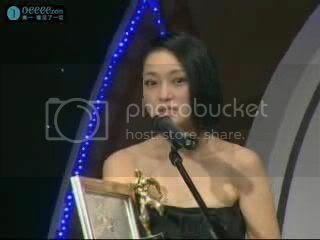 Best Actress Zhou Xun two nights ago personally accepted the award. She revealed that she was busy with her new film with Chow Yun Fat. Originally they planned to dine together but due to the award she had to cancel. Zhou Xun apologized to Sister Bau. "I am very emotional, I have been making movies for over ten years. Receiving everyone's recognition is not easy. I remember when I won the first time, I was very scared and shaken on stage." Best Supporting Actress Chan Lai-Wun frankly said that this film has brought her endless joy and joked that she hoped the director could bring her joy once more. She also wished Chinese film to continue radiate. Hui On Wa honestly said that she would keep working hard on movies, but she joked, "I am already working very hard on my movies, so I wouldn't work even harder." She also joked that THE actually was a story about three old women, her, Sister Bau and Chan Lai Wun. A celebration was held after the award show. Multiple Best Actress award winner Zhou Xun was asked about her screenplay selection. She said that she had three conditions, a good script, a good director and a character that could touch people. She said, "I won't mind the cast, since I have to play my own character well." As for any character that Zhou Xun felt he could not handle, she said, "For now I still haven't thought for one. I had a habit over the years, I would be tense the night before the shoot began that I could not sleep. I would keep thinking about how to play the character well. The reason for the tension I still haven't been able to find a resolution for." 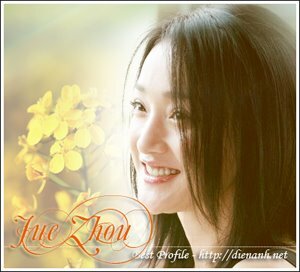 Sister Bau honestly said that she would not be disappointed about the loss to Zhou Xun. She pointed out that last time when she won the Hong Kong Film Award Best Actress, she apologized to her as well. She praised that Zhou Xun was a good actress and deserved to win the award. As for Nick Cheung Ka Fai's claim that no one watched ATV programs, Sister Bau disagreed. "I don't think no one watches. I am very happy with working at ATV, as long as the audience enjoys it I am satisfied."